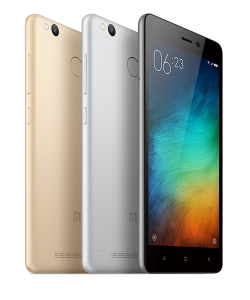 Xiaomi Redmi 3s Android smartphone. Announced 2016, June. Features 3G, 5.0″ IPS LCD capacitive touchscreen, 13 MP camera, Wi-Fi, GPS, Bluetooth. Description Xiaomi Redmi 3s Android smartphone. Announced 2016, June. Features 3G, 5.0″ IPS LCD capacitive touchscreen, 13 MP camera, Wi-Fi, GPS, Bluetooth. No reviews available for #XiaomiRedmi3s, Do you know Xiaomi Redmi 3s?, Please add your review and spread the good things.